We decided to stay another night in Quilpie, not knowing that there was a Street Party on in town that night. Everyone arrived in the afternoon, as they did yesterday (on their trek to Birdsville, even though the race aren’t happening), to take part in the local celebrations. The local kids must think it is like their version of the Melbourne Show. A minute scale, admittedly, but after their purchases of ‘show bags’, and light sticks (a copy of the light sabres), mad hats and wheeley bin races, a great time was had by all. There is a beautifully renovated pub in town, where we lunched the day before, got to know the owner, so we arrived in town at about 7pm, bought a glass of wine, collected a couple of chairs and took them outside and had a great view. It was also the night of the lunar eclipse, which made the evening complete. 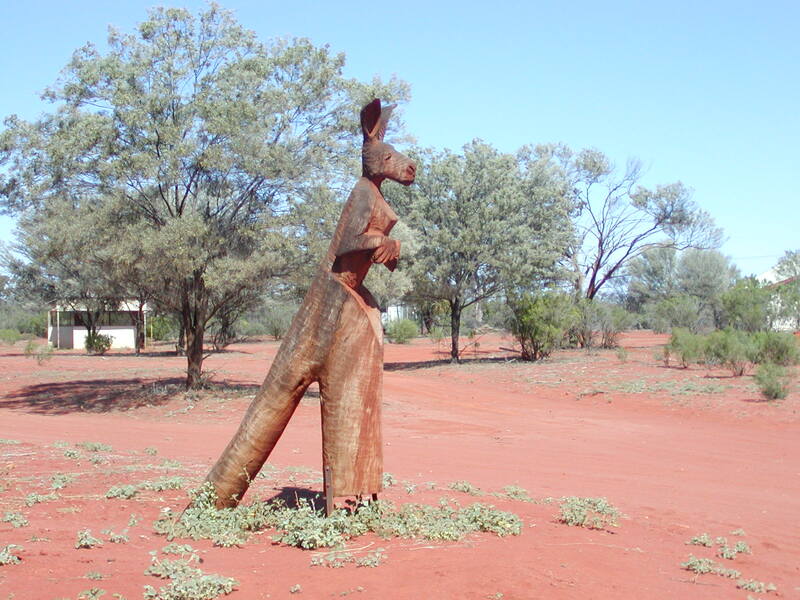 We both came away liking Quilpie very much. 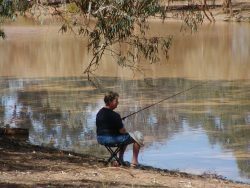 People follow activities similar to this, all the way to Birdsville, eg. Yabbie races at Windorah! Time to leave, so, on the road again, visiting Eulo on the way to Currawinya N.P. A General Store, Pub, a Curio shop, a school and that’s about it! Bought sandwiches at the pub (taking 30 minutes to be made), and headed for our destination, about one and half hours away. My commentary must becoming boring with “another stunning place”, “this is spectacular”, but here I go again. The terrain was more interesting, the dirt road quite good, and decided to camp on the Paroo River campground. Majestic Pelicans and ducks gracefully glide up and down the river like small battleships and galahs use the overhanging branches of riverside trees, to get a drink. Gnarly old Coolabahs, Acacias, a river, approximately 25 metres wide and I’ve got a craypot in and a line in also, trying to get a Yellow Belly. Caught a small catfish in the craypot, along with 2 shrimp, so before breakfast, I had a line in with the catfish as bait and almost immediately I was snagged AGAIN! Patience is required and a cup of tea! Set the line again, and the craypot, both of us had breaky and a shower, made lunch and set off to see the rest of the park. Firstly we saw the Ruins of the old Caiwarro Homesead, then travelled to the Caiwarro Waterhole. 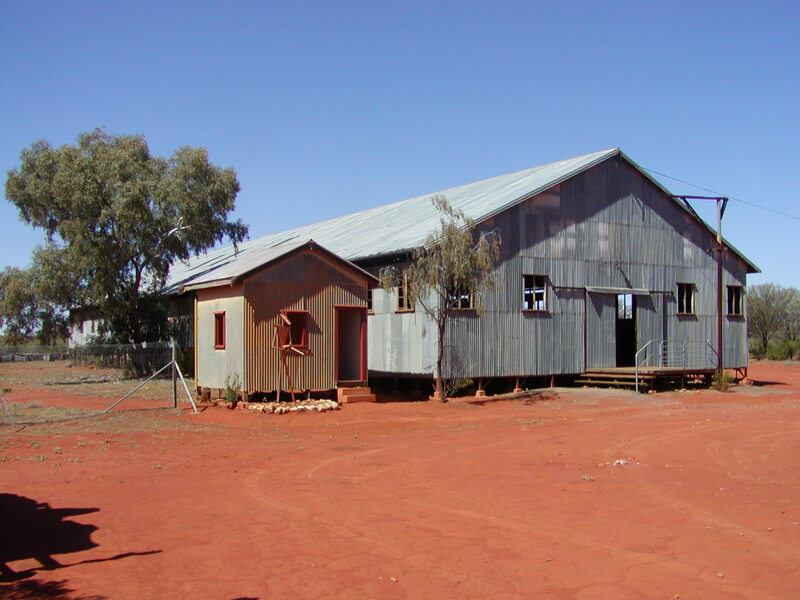 Then quite a long drive, down a wide red dirt roadway, until the turnoff to Currawinya Woolshed. 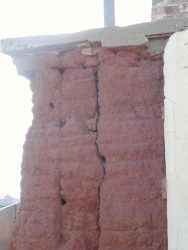 A very large, solid building, still intact. This and three other shearing sheds were assembled from materials taken from a one hundred and ten stand shearing shed (shearing positions). 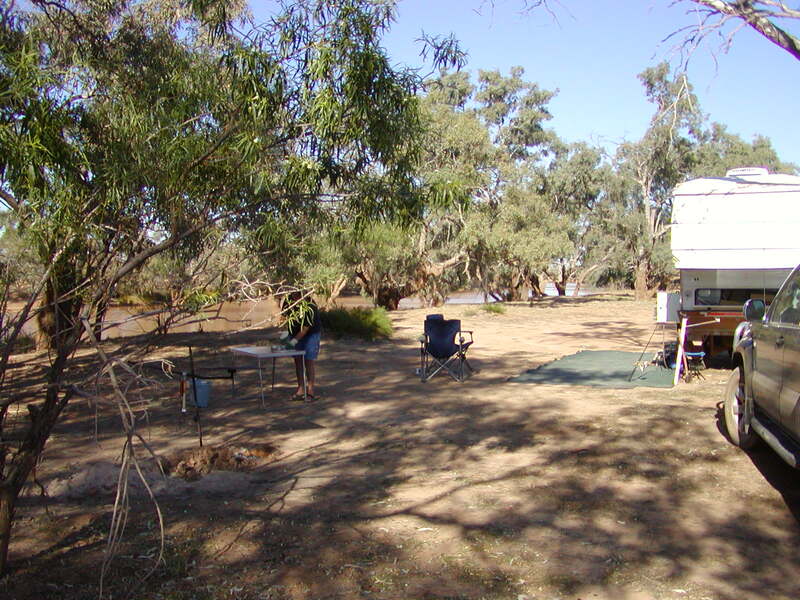 We lunched nearby at the Ourimperee Waterhole, where camping is allowed. This area had more shade, smaller trees and would be a lovely campsite in the future. On the drive in we saw flocks of budgerigars and a pair of blue-winged parrots. Later in the afternoon, after repairing and setting many fishing lines from snags, I asked Russ to pull in the line. 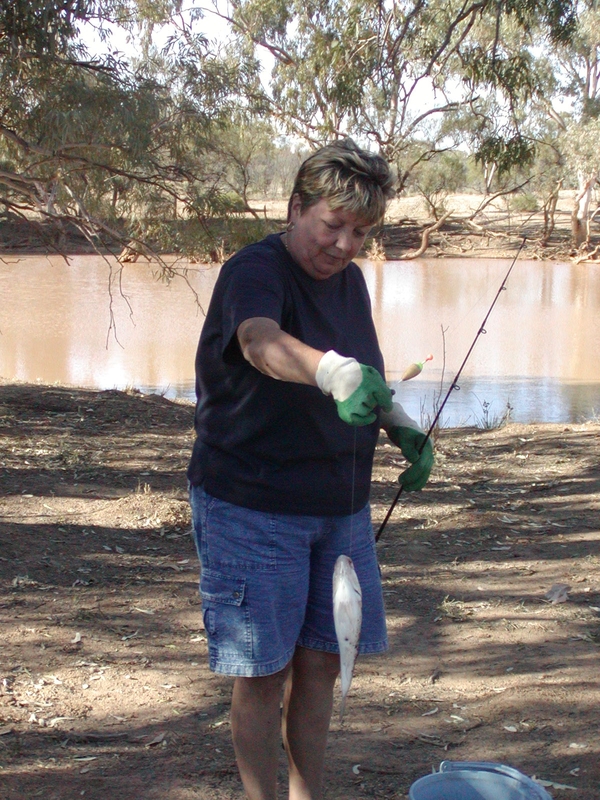 To our surprise, there was a great sized Silver Perch on the end. How’s that for justice – I do all the work and Russ reels it in!! Cooked it in foil, with a sprinkling of onion, salt, pepper, lemon juice and tomato. Delicious. On rising, down to the craypot, collect the seven shrimps I’ll use for bait today and set the line, then breakfast. Within thirty minutes, a large silver perch was on the line and I was enthusiastic to continue. Every time I put a live shrimp on the line I had a result! We ended up with 2 good sized fish, put three little ones back and also put a shrimp back. Loads of excitement, exercise and a great tea ahead. Late morning, we walked to the ruins of Caiwarro Homestead – probably 4kms, but as the crow flies – through bush. We found it to be rather hot, but very interesting. 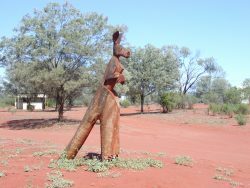 Part of the area we traversed is a protected aboriginals site and we could see signs of the past camps and many, fairly modern, artefacts. We thought that they may have been employed by the Station, and we were walking through their camp site. To finish off a great day was a classic comment from Russ while sitting around the fire – “we haven’t seen a block of fudgerigars today”!!! We nearly fell off our chairs!!! 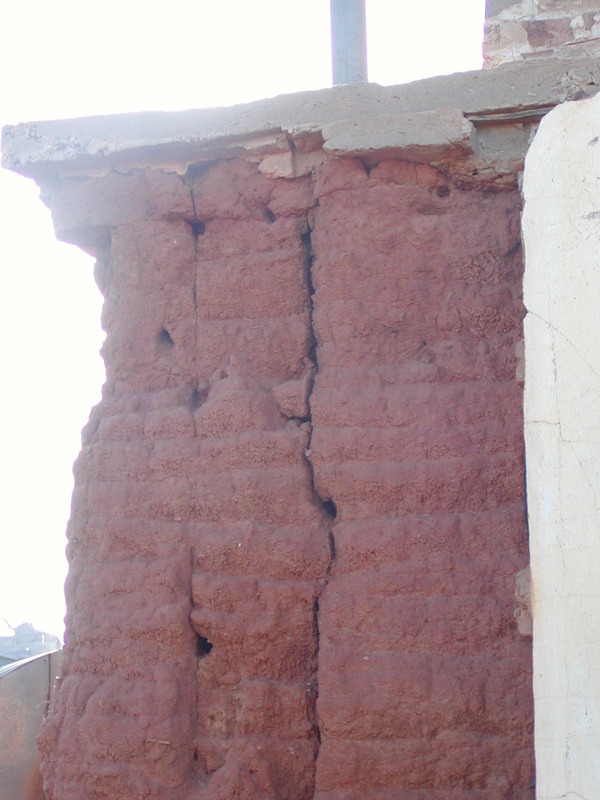 On leaving, we went back to the ruins, to photograph a Straited Pardelote, which had built its nest in the clay structure of the homestead fireplace. Unfortunately, the bird wasn’t there today, but the holes in the clay are the burrows to his nest, which, yesterday he protected fiercely.